Every Acromet Bag Dump Station is custom designed to address the specific needs of the client. Typically emptying 40-60 bags per hour is achievable, dependent upon bag size, equipment layout and product characteristics. Acromet systems are focused on waste minimisation through the ergonomic design of the waste sacks which facilitate the containment of dust emission through dust-free disposal. 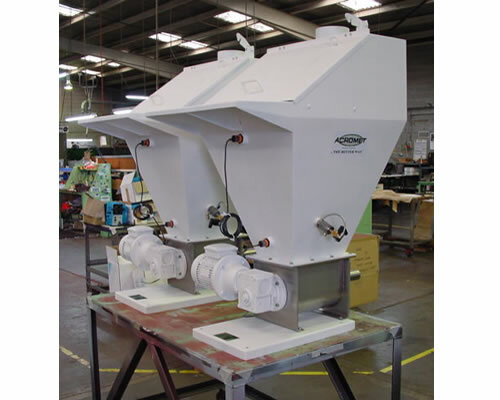 No-spill bag opening, local or factory fan assisted dust collection facility to draw clean air past the operator, built-in product sieve with removable screen, integrated or stand-alone waste bag compactor to suit factory layout. Mobile units, return of collected dust back into process, weighing load cells, consumable plastic storage for disposed bags, elevated access platform, integrated pallet lifter and safety pallet gate to suit available room. 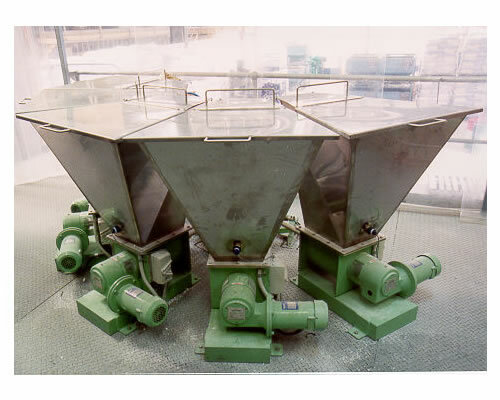 Acromet provides comprehensive integrated systems combining sack tipper, volumetric or gravimetric product discharge, dust collector as well as various conveying systems for delivering products to storage, mixer or process.